It sounds obvious, but it’s important to research your location well in advance. The last thing you want is to be married in the middle of a monsoon or a bustling beach. As well as picking the right time of year, it’s also wise to avoid the hottest times of day, and check the tide times before setting your schedule. Although you can predict the weather to some extent, Mother Nature has been known to throw in a few surprises every now and then. Make sure your venue can provide some indoor space in case the worst happens. This space can also be used to help your guests cool off if it gets too hot or keep warm if the temperature drops in the evening. The sea will look great in the photos, but don’t forget that it’s also noisy. Make sure you’re far enough away that everyone can hear what you’re saying, especially the videographer! Take it easy on the tan. Make sure you protect yourself with sunscreen, and don’t be tempted to spend too much time on the beach in the run-up to the wedding. Although a healthy glow will look good in your photos, sunburn will give new meaning to the term “blushing bride”! 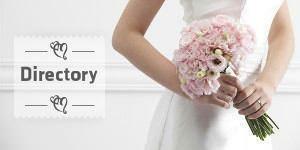 Choose an appropriate wedding dress and attire for your bridal party. It would be cruel to make your groomsmen wear tuxedos in 90° weather. Likewise, you and your spouse-to-be don’t want to be swimming in sweat come photo time. To ensure that they last as long as possible, confirm with your planner that you’re ordering flowers able to withstand hot temperatures and sun exposure. Local varieties are always a good choice. Keep the bar well stocked. It’s going to be hot, so make sure your guests have plenty of water and other beverages close to hand while they’re waiting for you to be fashionably late! If you’re planning on celebrating on the beach until the early hours, remember to provide adequate light to keep you going. There’s nothing worse than having to call it an early night because nobody can see! Now that you’ve followed our great beach wedding ideas above, any minor issues on the day should pass unnoticed leaving you free to relax and enjoy yourself!